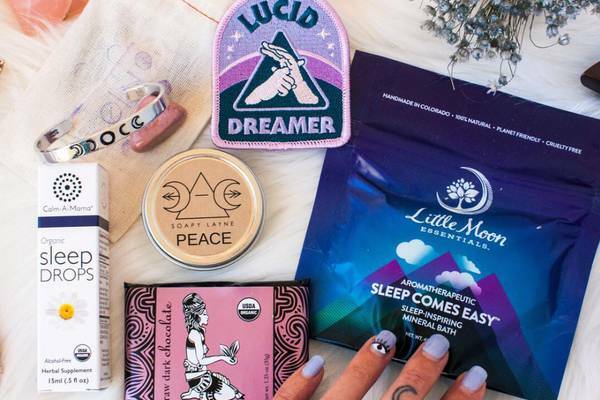 Whether your sister-in-law makes you smile because she’s the best sister you could have lucked into, or she makes you laugh because you think maybe her luck ran out the day she married your brother, let her know you’re thinking of her by sending her one of these awesome monthly subscription boxes. From craft and hobby boxes to skincare, jewelry and monthly legging subscriptions, we’ve got plenty of great gift ideas for your sister-in-law. When she opens up any of these thoughtful sister-in-law gift ideas, she’ll know that you consider her a real part of the family! What You’ll Get: Is your sister-in-law Pinterest-obsessed and like to get her creative juices flowing? Help her get a little crafty each month with The Adults & Crafts Crate. Arriving with everything needed to make a trendy, Pinterest-worthy craft, she’ll get all the materials, accessories, tools and step-by-steps so she can dive in and get down to business. What You’ll Get: Some people have the tendency to take care of others before themselves, but it’s imperative that everyone learns to spend some quality time on self-care. If this sounds like your sister-in-law, The Go Love Yourself box can put her in the right mindset for self-care each month. Delivering a book that provides a new perspective on personal growth and 3-5 self-care items, this box aims to help everyone connect to themselves and learn valuable strategies to bring more happiness into their life. What You’ll Get: So, your sister-in-law is Queen of Selfies. 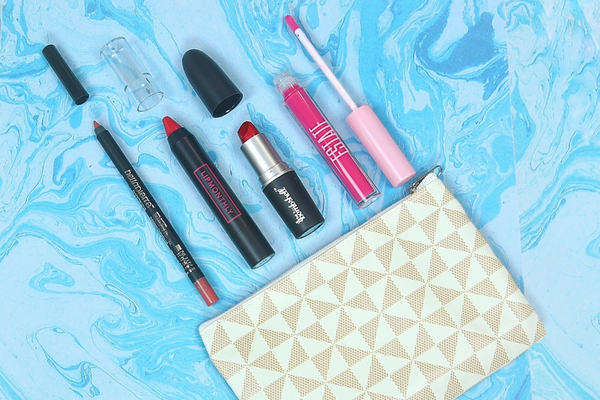 That makes Beauteque Monthly one of the best gifts for your sister-in-law! Since your skin is easily 90% of your selfie, help her get the flawless look she’s after when you deliver the best in K-beauty skincare right to her front door. Available in two subscription levels, the Mask Maven and the Beauty Box, you’ll send her the best in Korean face mask sheets, makeup and skincare products every month. What You’ll Get: Keep your sister-in-law from getting those winter blues with a lovely plant of the month club! 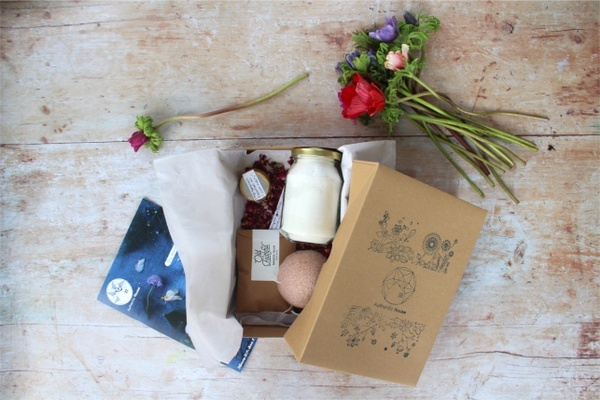 My Garden Box delivers a new seasonal house plant every month, plus a decorative container, potting and care instructions, and a plant label all wrapped up in beautiful packaging. The truly unique gift idea! What You’ll Get: If your sister-in-law is a regular at spin class, avid yogi, or runner, then the Fit Lifestyle Box is an awesome gift idea to compliment her active lifestyle. Fit Lifestyle Box offers 3 box options curated based on the recipient's goals, Get Lean, Stay Fit, and Get Strong. Each box includes 6-9 products like high-protein snacks, fitness accessories, and a t-shirt. Plus, each box includes a motivating 30-day challenge! What You’ll Get: Whisk Takers is new DIY baking subscription box that makes crafting delicious desserts super easy. Each baking kit includes pre-measured ingredients and step-by-step recipe instructions for a no-fail dessert. Past recipes have included s'mores brownies, maple pecan blondies, and double chocolate cookies. Plus, they also offer vegan and gluten-free recipes for dietary restrictions. Shipping: Only ships within the U.S.
What You’ll Get: Give your sister-in-law the gift of relaxation with a Sudzly subscription. 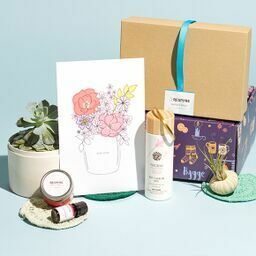 This monthly spa box delivers all-natural and organic bath and body products like bath bombs, luxury soaps made with essential oils, sugar scrubs, body lotion, and more. Choose between 4 subscription options for the perfect spa in a box! What You’ll Get: Give your sister-in-law permission to slow down and relax with a new book and warm cup o' joe each month with the My Coffee and Book Club. Featuring a unique 12-ounce bag of micro-roasted gourmet coffee, in either whole bean or ground coffee, plus 2 hardcover books in a specified genre and a convenient e-Book for on-the-go reading, she’ll be all set to cozy up and get lost in a good read. What You’ll Get: He Wines, She Dines is the perfect gift if your sister-in-law loves to unwind with a glass of vino. Each wine box delivers 3 wines from the world curated to recipient's specific tastes, plus a featured item as a perfect complement to the wine, from chocolates and spices, to table decor. All boxes also include a hand-written note from the curators for a personalized touch. What You’ll Get: This holiday season, support your sister-in-law’s commitment to a low-carb lifestyle when you send her the Sugar Smart Box. Sending 7 or more artisanal low-sugar and low-carb snacks, you’ll ensure that she always has something on hand to munch when her energy is low. All snacks are diabetic-friendly and keto compliant. What You’ll Get: If your sister-in-law is more into cooking than baking, then SpiceBreeze will help her learn new recipes for globally inspired dishes. Each month's box includes freshly-ground spice blends that are pre-portioned for authentic dishes from around the world. Choose between 2 ($5.90/box) or 4 ($11.85/box) spice blends and recipes per box. What You’ll Get: Don’t let your sister-in-law spend any more time in the greeting card aisle looking for a card with the perfect mix of artistic creativity and a touch of sugar or salt. Send her all that she’ll need with the Flair and Paper subscription. Delivering 4-5 greeting cards and 1-2 extra stationery items each month, featuring beautiful artwork and sassy sentiments, you’ll give her a gift that keeps on giving. What You’ll Get: Is your sister-in-law the type with a bubbly personality who always seems to be sporting some glitter? Send her a gift that helps her bring on that bling with My Jewelry Box. Featuring 3-5 unique, stylish and sparkly pieces of jewelry in every box, there’s sure to be something to pair with any outfit. From vintage-inspired and statement pieces to modest everyday studs, you’ll help her stock her jewelry collection with plenty of goodies. What You’ll Get: Now your sister from a different mister can get all her great ideas down on paper with the goods she’ll unpack from The Inky Box. Featuring all that’s needed for hand lettering, from pens and inks to supplies and prints from favorite artists, the hand-picked selections from Sarah @theinkyhand will have her creating and showcasing some of her very own unique designs. On the hunt for more gifts for women? See our top picks below!